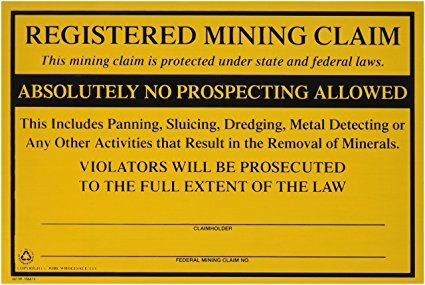 The law in the United States allows you to stake a mining claim on some federal lands throughout the country. Federal lands where you can stake a claim are located in 19 states. These states are Alaska, Montana, Utah, Arizona, Arkansas, Nebraska, South Dakota, California, Nevada, Oregon, Colorado, New Mexico, Florida, Idaho, North Dakota, Louisiana, Wyoming, Mississippi, and Washington. The rest of the states do not contain federal lands where you can stake a mining claim. Most of the states in the West have abundant public lands open to staking a mining claim. There is plenty of gold in the West too! 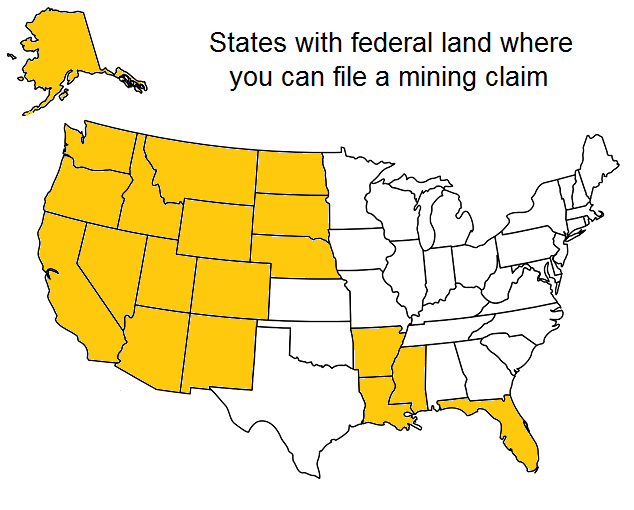 There are 19 states in the U.S. with federal land that you can file a mining claim. Probably 13 of those states have gold deposits that could be mined profitably. Most federal land in the United States are managed by either the Bureau of Land Management (BLM) or the US Forest Service. Usually, the BLM manages both the surface and the subsurface of public lands and the subsurface of Forest Service lands (the Forest Service only manages the surface land throughout the National forest systems). When looking to stake a claim you will have to work closely with the BLM and adhere to the proper protocol to file and maintain a claim. When looking for a mining claim to stake it is important to remember that not all federal lands are open for staking mining claims. You are only allowed to prospect, site and stake a claim on federal lands that are open for mineral entry. Many of the lands managed by the BLM and Forest Service are closed to mineral entry either by the public lands order, a special regulation or an act of the Congress. There are many areas that have also been withdrawn from mining because of a wide variety of reasons, so it is important to find out about the status of any federal lands before you stake a claim. Federal lands to avoid when trying to find land to stake a mining claim on, include those lands designated by congress to be National Wilderness and lands designated to be part of a Wild and Scenic River. At this point it may seem like nearly all of the federal lands are off-limits, but rest assured that there are millions of acres of public land that you can still stake a claim. 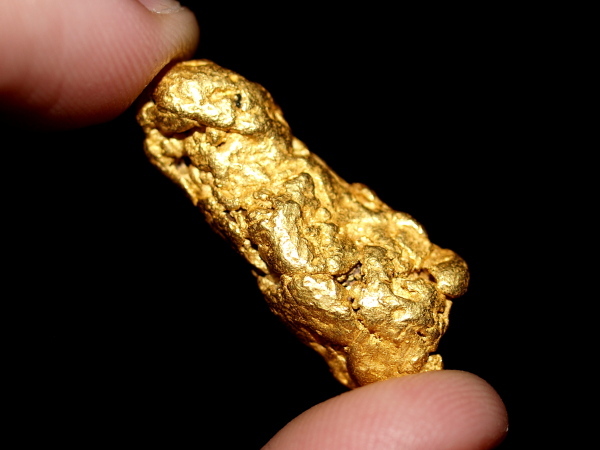 It’s simply a matter of doing your research and understanding land designation before you start prospecting for gold. Before you even think of staking a claim on the federal lands you have first to find out if the land has the particular mineral of your interest or not. Most commonly this is silver and gold, but prospectors can also stake clams for copper, platinum, oil, asbestos, lithium and all sorts of metallic and non-metallic minerals. 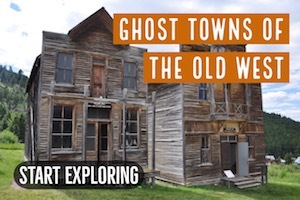 Some basic research about the history of an area should give you a starting point. 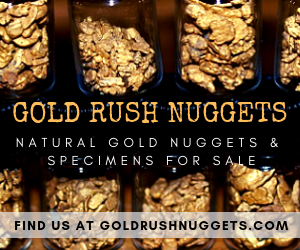 For example, most gold mining areas are well-documented now, so it shouldn’t be too difficult to find a general area that could potentially have some gold. 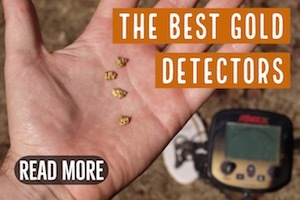 Once you’ve found an area that potentially has gold, check the land status to make sure that the areas is federal land that is open to exploration. There’s no point going and farther than this if you find out that the land is restricted and off-limits to mining. Once you have found an area on the federal lands with minerals worth staking a claim, it is important that you confirm with the local BLM offices that there is no active claim on the land before your stake your own claim. If there is a claim on the land it should be marked in accordance with the specific state laws. Some claims may not be well marked but may still be valid claims because claim posts can be lost, stolen, or fall down and become hidden. Make sure also to check if someone else is in the process of staking a claim on the same location as your desired area. It is important to check on this to avoid conflict that may arise as a result of your claim staking activities. If there is a mining claim on the land already there are two things you can do: either buy the claim from the current owner or find somewhere else to stake a claim. 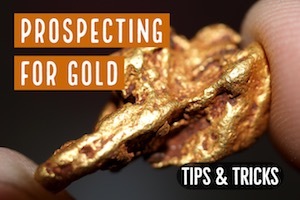 Usually, trying to find some other location to stake a claim is the best option because many people with mining claims may not be willing to sell their claims and it will be a waste of time trying to convince the current owner to do so. Once you’ve found an open section of federal land, prospected the area, and located a potentially profitable mineral deposit, it’s time to actually stake your claim. You start to stake your claim by physically marking the boundaries as required by the laws in the state where it is located. Generally this is done by piling some rocks to make a marker or using a post. Different states have different rules in regards on how to properly staked and how the boundaries need to be marked. Before staking any claim it is a good idea to study the local state laws in regards to mining and staking claims so that you have a better understanding of what you need to do. Now that you have located and staked your mining claim on the ground, the next step is to identify your mining claim location on a map for filing purposes. You should have already done this when you were researching open areas to prospect, so this part should be easy. The map of your mining claim should show the range, the meridian, the township, the section and the land ownership. It should be well detailed for easy identification by anyone else looking for mining claims in the same area. Remember that claim sizes are limited by law. For a lode mining claim, the allowed size limit set by the law is 1500 feet in length and 600 feet in width with 300 feet on both sides of the claims center line. 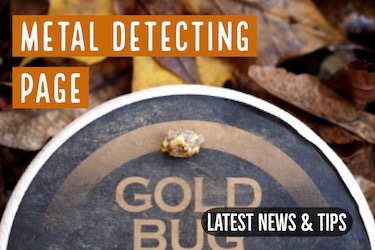 Small-scale gold miners are usually going to want to file a placer claim. Placer mining claims are usually about 20 acres in size often identified by the already defined lines. A group can combine several of these to have a single mining claim of a maximum of 160 acres provided that they follow the laid down State and Federal Laws. Alaska has a little bit different laws that limit the size of a single placer mining claim to a maximum of just 40 acres. Before the claim becomes legal yours, you need to fill out some paper works with both the federal and the local county where the claim is located. State laws in most of the states require that you first file the original claim location notice in the county clerk’s offices of the county in which the claim is located. This is very important! If you just deal with the BLM and don’t also record your claim with the county then your claim will not be valid. Different states have slightly different requirement for filling of the location notice. Usually, the filling has to be done within 90 days after staking a claim on the ground. Take note that some state requires early filling such as within 30 or 60 days which means that you should do it soon enough to prevent your claim from being taken over by someone else. Generally the sooner the better to avoid the possibility that someone else comes in and claims before you. The description of the location of the claim. The description of the claim can either be a meter and bounds survey reporting the distance and direction of the claim or a legal description covering the section, range, meridian, and township. Once you have filed the location notice with your state government you can now go ahead and file the same with the federal government through the BLM offices. The should be done in accordance with the Federal Land Policy and Management Act (FLPMA) of 1976 which requires that you file a copy of the official certificate of location or an official record of the notice with BLM. Section 314 of the FLPMA requires that the map of the claim and the entire document used for filling under the state law should accompany your filling form with the BLM. Even in cases where the state does not require proper recording, you must provide proper document when filling for a location notice with the BLM. There is a charge for recording a claim notice with both the state and the federal government. Remember to check this with your local county clerk and the local BLM office before you do the filling. Very Important Note: Failure to make your claim filing within the stipulated period at both the state and the federal level will make your claim to be considered abandoned. 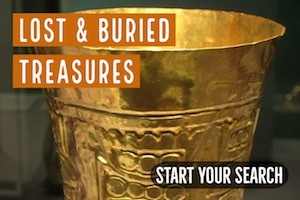 This will open up the site of your claim to anyone else interested in staking their own claim. The time for filing with the BLM is 90 days from the date of staking on the ground while the time frame varies from one state to another. You will also lose your rights to your claim if you paid the yearly claim maintenance fee as required by law. Once you have successfully staked a mining claim, you probably are excited to start mining on it. Wait! Before you start any mining activity on a new mining claim you should check with the local authorities on relevant regulations regarding mining activities in the area. Check the state laws on mining and the BLM mining regulations on surface management mining and the Forest Service. Just because you have a valid mining claim does not mean you can do any type of mining you want. There are likely additional requirements if you want to use heavy equipment, build ponds, roads, or use suction dredges. A mining claim anywhere in the United States can be transferred either in part or in its entirety. The first notice of the transfer should be done by the state government which will issue the required documents such as the quitclaim deed for the transfer. Other than a transfer, you can also make an amendment to the description your claim location. Transfer and amendment should be done at both the county office and the state’s BLM offices. The transfer should be done within 60 days after the transfer of the claim, failure to which the transfer will be considered null and void. You must be prepared to pay a service fee for this notification. Once you have successfully staked a mining claim you can use it for many years provided that you pay the yearly renewal fee on time. Failure to pay the fee on time will mean that you have relinquished your rights to the claim, so make sure that you keep on top of this. Many miners have lost access to their mining claims by carelessly forgetting to file their annual paperwork. If you are no longer interested in a claim you can relinquish it to the Federal government by doing a proper filing in both the county office and the local BLM office. You don’t have to file forms. Just write a letter stating that you wish to relinquish the rights to a given claim. Remember to include the name of the claim and the BLM number you were given. You don’t pay any fee for this filing. There you have it. This process may seem rather involved, but it actually isn’t too difficult. Remember, you can always contact your local county clerk and BLM Geologist for further information and clarification. I also recommend that you talk with other miners who have gone through the claim filing process themselves. Their firsthand experience should come in handy. Just don’t tell them where exactly you intend to stake your claims!